Traveling around my home state of Georgia as a young person, I noticed numerous historical markers mentioning “The Old Federal Road.” Turns out, there were actually two such roads. Around the time the century turned from eighteenth to nineteenth, the U.S. government used treaties with Creek and Cherokee Indians to widen existing trails. 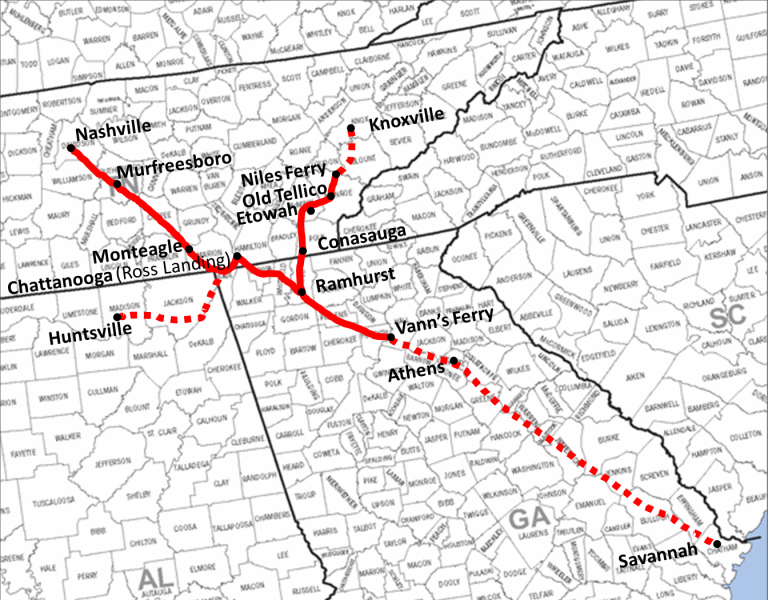 One followed the Lower Creek Trading Path to Alabama, and the other followed the Cherokee Trading Path to Tennessee. Inland-bound travelers from the coast used the road from Savannah to Athens. 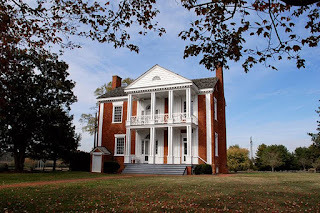 If they wished to continue north c. 1804, they left the control of the Federal government around present-day Flowery Branch, crossing the Chattahoochee River into the Cherokee Nation at Vann’s Ferry. Cherokee leader James Vann leased the right to run the ferry to various settlers from 1805 until his murder in 1809, when his son Joe took over until 1820. 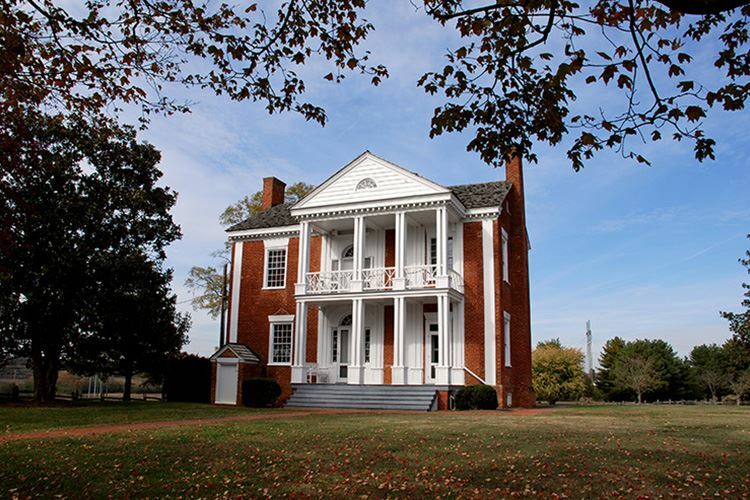 In current Murray County, the trail climbed past Vann’s 1,000-acre plantation and a tavern where travelers could partake of grog from a walk-up window. Past Two Mile Creek and Six Mile Creek, Coal Mountain and Hightower (or Frogtown), the house of entertainment ran by Jacob Scudder received censure by the Cherokee. Lewis Blackburn and Thomas Buffington owned taverns on up the trail. In the rugged mountains east of Tate, Georgia, in 1836, a man named Henry Fitzsimmons guzzled a little too much moonshine. Evicted from the stagecoach, in a fateful reversal of fortune, the Irish stone cutter noticed an interesting rock outcropping. He stayed to purchase land and start the marble industry in Georgia. The northern Old Federal Road continued to Talking Rock and Blalock Mountain to the Coosawattee Old Town and Cherokee Town. At Ramhurst, one fork took travelers north to Knoxville, while the other fork took them northwest to Spring Place, Ross’ Landing/Chattanooga and Nashville. Do you enjoy rambles along historic highways? Are there any good ones near you? I would love to follow those roads. My time in Georgia has been very limited. Savannah, and the Atlanta Airport! 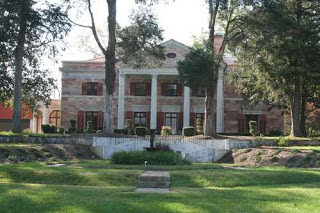 Of course, I've love it all since Gone With the Wind at 12 years old, so these tidbits of history and homes fascinate me! Debra, if you get to come back, let me know, and we can go see things that will definitely top the airport! 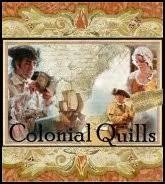 :) So much of the state was frontier well past the American Revolution, but the history was rich. 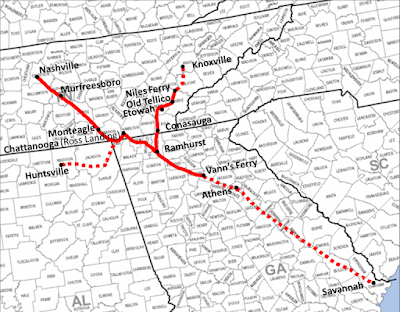 Another early road in N GA was the Unicoi Turnpike. I appreciate the people who are seeking to document and preserve sections of the old roadbed. Very interesting, Denise. I live just a cross the border in Anderson, SC and might can travel this trail one day! Anderson is not far! I've done a few book signings at your BAM. Do you have any Early American roads in your area? 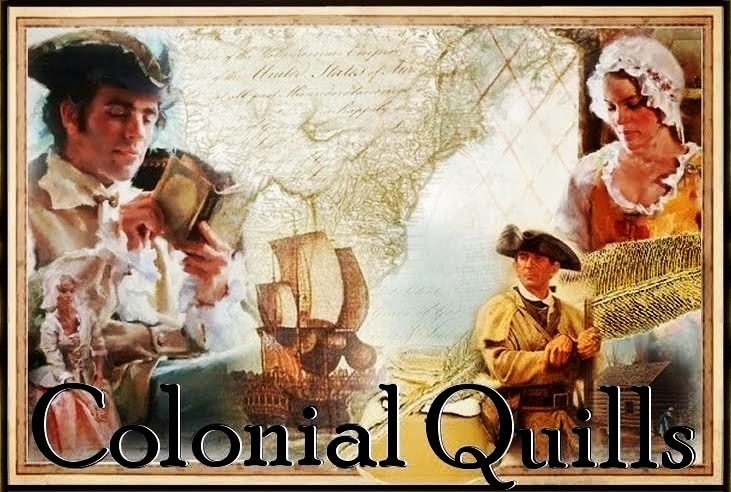 This is so interesting - being the American Colonial History nerd that I am. I always wondered about these trails since I just read a book about the Trail of Tears. You post was fascinating. I hope you will write some more. I hope to travel those roads someday. Thank you, Mary! You'd also find the Unicoi Turnpike interesting. My characters travel it in The Georgia Gold Series. I can recommend this non-fiction book: https://www.amazon.com/Living-Unicoi-Road-Matt-Gedney/dp/0965119696. I like that you posted a map it helped me visualize the trails.